The principals of Upton + Partners, LLC have provided project and development management services to some of the most successful development firms and public companies in the country. Our experience and demonstrated track record reflects performance to the highest levels of professional standards. Mr. Upton founded Upton + Partners in 2009 to pursue unique real estate opportunities. Since inception the firm has developed over $700 million of projects, including the award winning Arlington 360 mixed-use project, the expansion of LogMeIn’s world headquarters, the development of Ocean 650, a 230 unit residential development, as well as the expansion/renovation of the America’s Wing of the Boston Museum of Fine Arts. Currently the firm has over $300 million of mixed-use projects in its pipeline and approximately $170 million are located in in Opportunity Zones. Mr. Upton is an accomplished real estate executive with over 25-year years of experience in all facets of real estate development and investment. He has been associated with over $1.8 billion of investment and real estate development across a variety of asset classes, including the development of over 700 multifamily residential units in metropolitan Boston. Mr. Upton provides leadership in the areas of acquisitions, finance and development management. Prior to Upton + Partners, Mr. Upton was Managing Director of EA Fish Development, LLC in Boston, MA and, before that, was Vice President of Prime Property Capital (aka Prime Group) in San Francisco, California. In the combination of those roles, he managed private equity investment and development operations to acquire and/or develop over $1.2 billion in projects, including over 7,500 multi-family residential units. Residential project types included market-rate and mixed income rental and condominium projects, assisted living projects and affordable housing projects. While in San Francisco, Mr. Upton also led the development of Costanoa, an award-winning eco-resort in Pescadero, California on the northern coast. 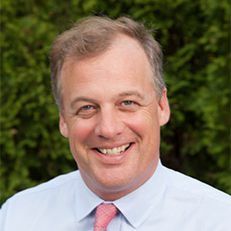 Mr. Upton is a graduate of Milton Academy and Williams College, where he majored in Political Science/International Relations and played varsity soccer and lacrosse for top nationally ranked teams. Mr. Upton provides management leadership in the areas of acquisition, entitlement, finance, design and construction, third-party negotiations, administrative services and marketing and operations liaison. Mr. Upton has over 35 years of experience at the senior level management of integrated disciplines of real estate development process primarily related to office, retail, large public-occupancy, and residential product types. Over his career, he has completed well in excess of $2 billion of completed projects in both urban and suburban locations. In the past, Mr. Upton has held leadership positions with The Rouse Company, Cabot, Cabot & Forbes, Delaware North Companies, Huizenga Holdings, the San Antonio Spurs, EA Fish Associates and the Winn Development Company. As a partner in Upton + Partners, Mr. Upton recently completed an assignment as the Director of Project Development and Construction for the Museum of Fine Arts Boston American Wing expansion program in Boston and Arlington 360 in Arlington, Massachusetts. 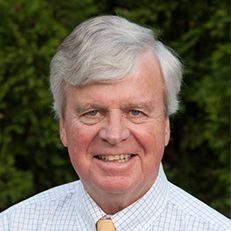 Mr. Upton is a graduate of Williams College, the Yale School of Art and Architecture and graduate-level real estate programs at Harvard University. He holds memberships with the American Institute of Architects, the National Council of Architectural Registration Board, the National Association of Industrial Office Parks, and the Urban Land Institute. He is a former trustee of the New England Home for Little Wanderers, Boston and the Rivers School in Weston, Massachusetts.